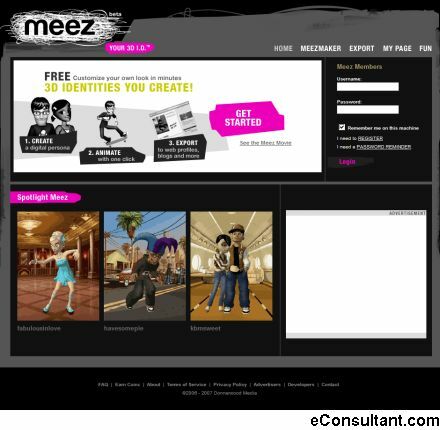 Description : A Meez is your 3D I-D which you create and use to represent yourself everywhere you go on the Internet. Hairstyle. Clothes. Eye Color. Everything. You can personalize your Meez to look like you do in real life — or try on a completely new look. It’s up to you.